If Murdoch's Fleet Street rivals can't win the Ofcom argument, and it is looking increasingly likely they cannot, they should buy themselves a stake in Sky News and share in its success, writes Davenport Lyons' Michael Evans. The award-winning 24-hour news channel has become the bargaining chip in the protracted and sometimes tendentious negotiations surrounding News Corporation’s purchase of the part of BSkyB which it does not already own. The channel has been the Royal Television Society’s News Channel of the Year for eight of the past 10 years. It has won three international Emmys, three BAFTAs, and four Gold Medals from the International Film & Television Festival New York. Journalists, camera crews and technical staff have also won prizes. But what next for this highly-lauded venture? 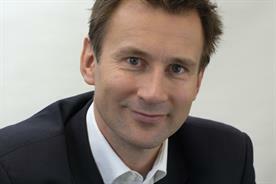 It is expected that Jeremy Hunt will not refer the deal to the Competition Commission and the focus has shifted to the price to be paid by News International for the shares. While few commentators have focussed on the long term fate of Sky News, there is an opportunity for all to support and benefit from the future success of the channel. Ofcom was minded to refer the proposed acquisition of shares by News Corp to the Competition Commission, as in its opinion the acquisition would have a damaging effect on media plurality, with Sky News at the heart of the issue. As we now know, News Corp made certain undertakings in lieu of a referral to the Competition Commission (the UILs) around the future of Sky News. It appears likely that Jeremy Hunt will accept these when the brief consultation period ends, despite the DCMS receiving 38,000 responses. 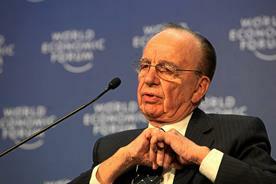 Under the UILs, the business of Sky News would be hived off as an independent public limited company (Newco), the shares of which would be publicly traded, but initially retaining the present shareholdings of BSkyB (leaving News Corp with 39.1% of the Newco shares, and 37.19% of voting rights). As the shares will be publicly traded, anyone can buy them (except perhaps the BBC), though News Corp’s share of Newco cannot be increased unless the secretary of state agrees. BSkyB would license the Sky brand to Newco for up to 17 years, and also enter a 10 year guaranteed carriage agreement under which BSkyB would pay Newco for the right to carry Sky News and make it available to Sky subscribers (but guarantee Newco’s editorial independence). BSkyB will sell advertising and obtain sponsorship for Newco for the first three years; lease premises for up to 15 years (with IT and other support services provision) and up to 10 years for satellite, playout and other broadcasting facilities. 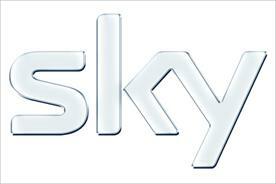 Prices for these commercial agreements will be fixed at cost to BSkyB plus 5% (plus CPI increases only). Wholesale news provision contracts with Channel 5 and IRN would also be transferred to Newco. The UILs anticipate that the Newco would be dependent on BSkyB for 85% of its revenues, and 25% of its costs. The board would consist of a chairman and a majority of non-execs who are independent of News Corporation, (with an enhanced definition of ‘independent’), and also a corporate governance and editorial committee with terms of reference to guarantee Newco’s editorial independence. Many commentators feel this to be a bit of a charade, and suspect News Corp, as paymaster, will continue to have effective control of Sky News. Currently, the Guardian alliance which has bitterly opposed the sale say that if Jeremy Hunt gives the go-ahead they are considering judicial review of the decision - which seems at best a pretty long shot. 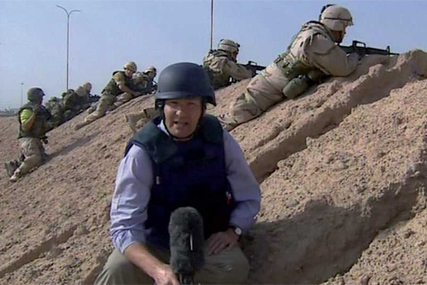 It is not easy to make money out of television news. All the main terrestrial channels are obliged to carry news which is balanced and objective, making it hard to differentiate from rivals. It is not cheap to do news well, and as Ofcom notes in its report, Sky News enjoys about 6% share of TV news consumption. Given the obligation on TV news providers to provide balanced, objective coverage, the news agenda can really only be driven by the editorial choice of stories to cover. And given the large number of news outlets, there is inevitably a certain consensus which emerges about the news agenda which all outlets need at least in part to cover. It is to be expected that with the rollout of superfast broadband, it will also be possible for the public to access news sources which are specialist (such as for instance the broadcast news from other countries). Reuters news agency was restructured in 1941 under the ownership of the British national and provincial press, and the Australian and New Zealand press associations. It set up a governing trust with certain trust principles which prevented any shareholder from owning more than 15% of the issued shares. The principles were also put in place to safeguard its independence. The principles govern how the company conducts business, committing Reuters to independence, integrity and freedom from bias in the gathering and dissemination of news and information. In 1984, an ailing Fleet Street watched as Reuters’ computer driven financial news made vast profits from its services to banks and financial services. Eventually Fleet Street chose to cash in, floating the company on the London Stock Exchange. A golden share was retained, which guaranteed that whoever owned the company would still be bound by the principles of independence, integrity and freedom from bias upheld by the trust. A similar model was put in place for the distribution of television news coverage by the Visnews news agency, owned by the BBC, NBC in the US, the Australian, New Zealand and Canadian public broadcasters (and also by Reuters). 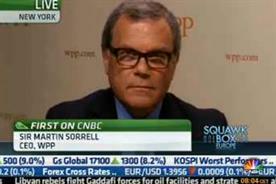 The broadcasters were eventually bought out by Reuters, and the company was absorbed into Reuters. It is easy to see how such a model could be adapted to the Sky News Newco. The national and provincial press which has expressed concerns about the power and reach of the "Murdoch empire" should perhaps put its money where its mouth is, and start bidding for a share in the award-winning business, which it could then carry on its own websites and digital television ventures, secure in the knowledge of a guaranteed editorial independence and integrity. There are probably few other potential buyers out there.